When determining a rug’s weaving style, there are four main categories to choose from. These weaving categories are not entirely absolute in their classification – as it can be rather difficult to accurately classify a rug with a copied weaving style; however, these four categories provide rug markets with information about the product’s history while also giving general quality-assessment guidelines. The four weaving categories – nomadic, village, workshop, and master-workshop – segment the rug market into broad groups that are similar in characteristics and appearance. Typically, weaving categories do not depend on or originate from the culture or people group that produced the rug or carpet. The main reason why weaving categories do not depend on the rug’s location of origin is because residential boundaries are somewhat difficult to define. This is very true for the first weaving category with nomadic weaving cultures. Nomads and semi-nomadic cultures constantly move from place to place, and their lifestyles typically include breeding and herding sheep and weaving rugs. The difference between the groups is: nomadic cultures travel all year long, whereas semi-nomadic cultures only travel for part of the year. 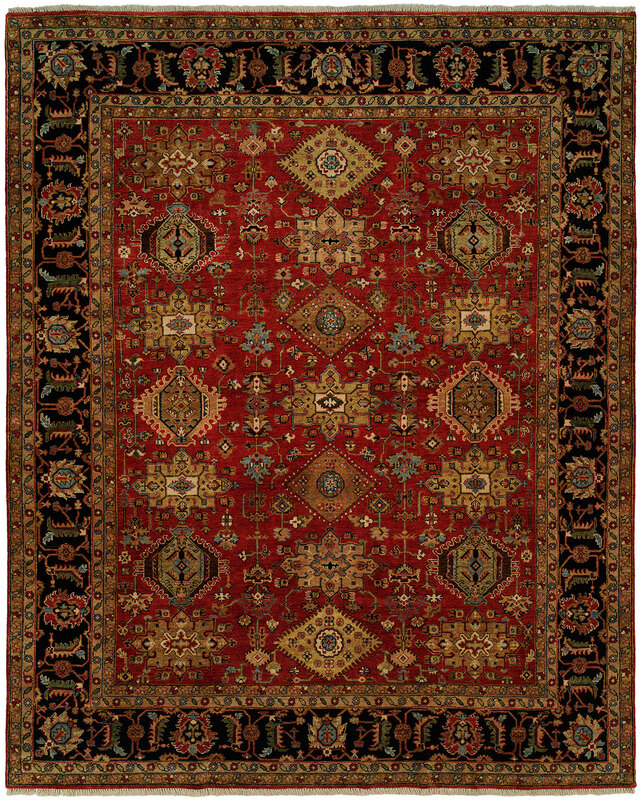 Nomadic weaving styles have been passed down for many generations, and the traditions that past weavers used in their rug production still have a strong presence in current styles. Nomadic weavers remain faithful to ancestral traditions, and the culture follows these traditions down to who typically weave the rugs. Throughout history, it is very common that women in the nomadic tribes produce the rugs. The quality of rug produced by the weaver ranks her social status. It is also common for very popular and highly-skilled weavers to act as teachers to younger generations. Because nomadic tribes constantly move the location of their camp, it is very rare to find a nomadic rug or carpet that would be used as a floor covering. More often than not, the items produced in nomadic weaving groups are small to medium size rugs or accessories such as bags and mats. Although the weaving category does not entirely define the location of origin, authentic nomadic weaving typically comes from the once-Persian territory, Afghanistan, and the Anatolian area. Nomadic rug weaving styles can come from other locations, but it is rare to find these items and should be thoroughly looked at when found.